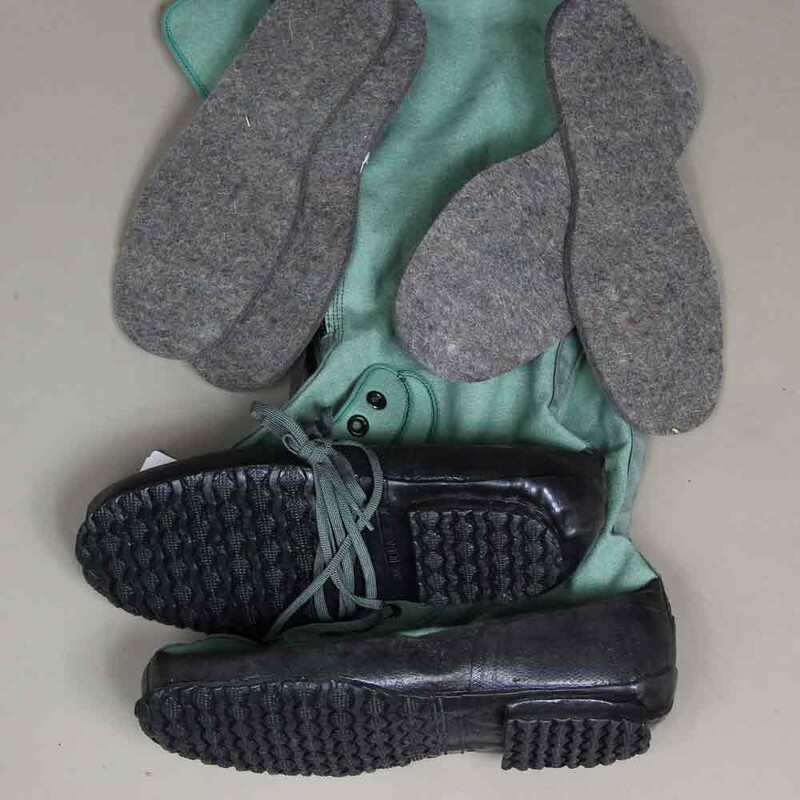 U.S. military extreme cold weather N-1B canvas boots, aka "MUKLUKS". Designed to insulate feet while standing on ice. Lower portion of the boots have five sets of eyelets for lacing. 10.5 inch zippers allow easy-on easy-off access. Top has lacing for individual sizing. 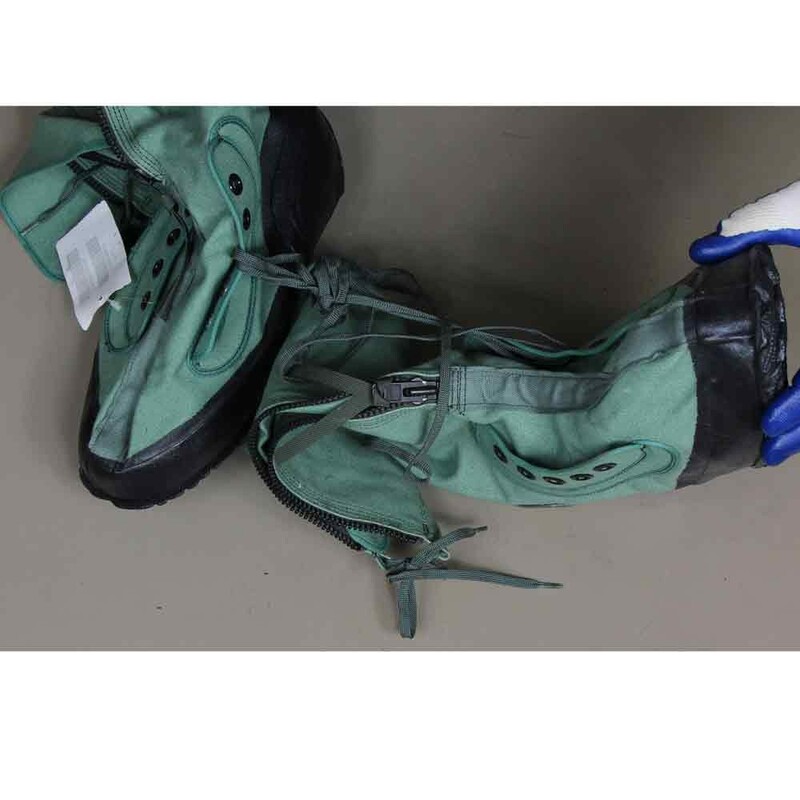 Bottom of boots are rubber and protect the wearer from water and ice. 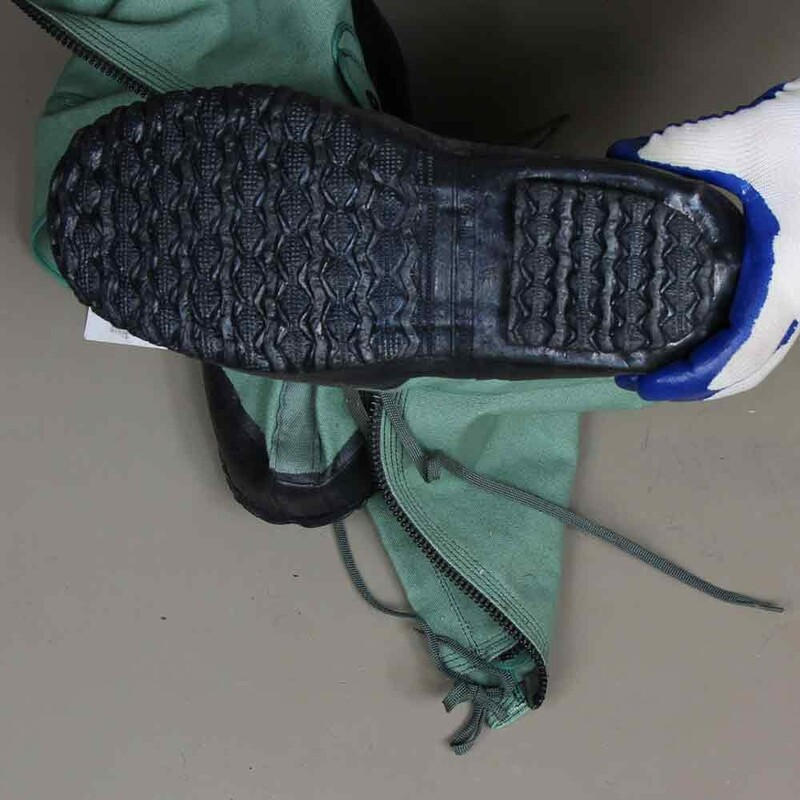 The soles are designed to prevent slippage. Each boot has two removeable inner soles.